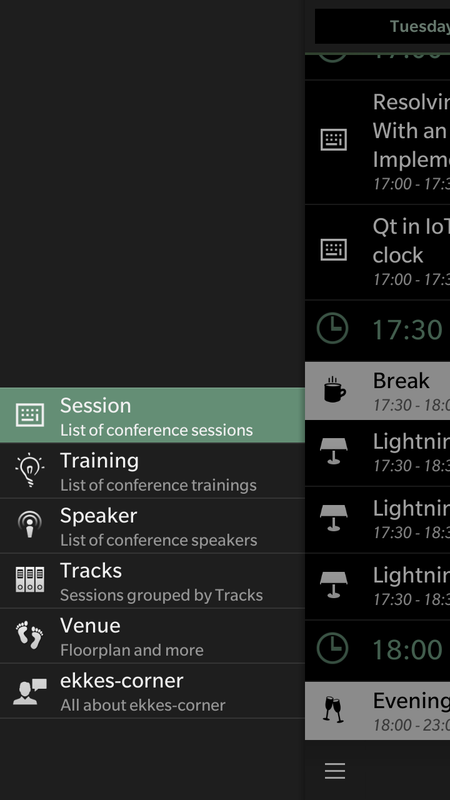 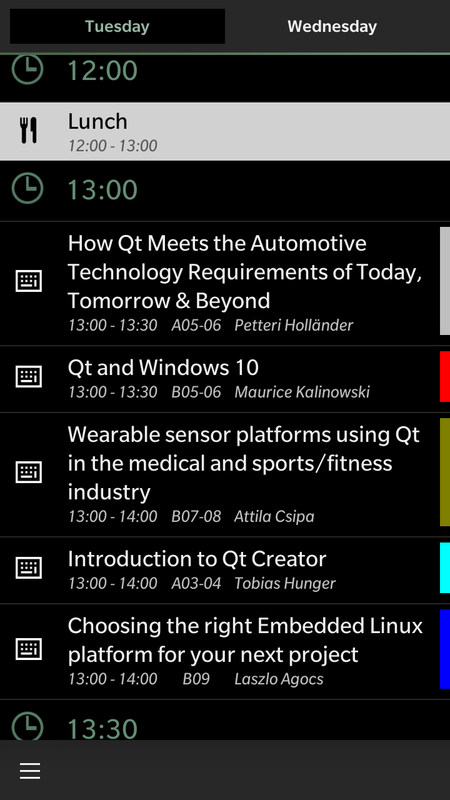 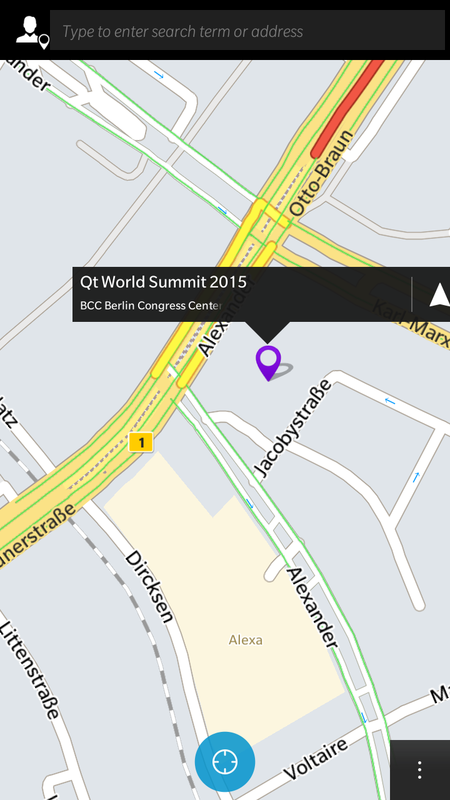 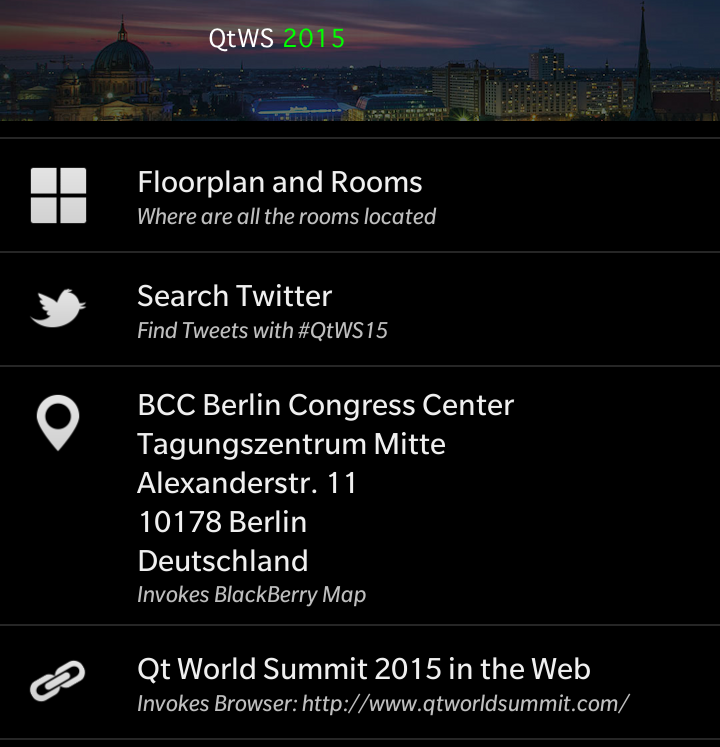 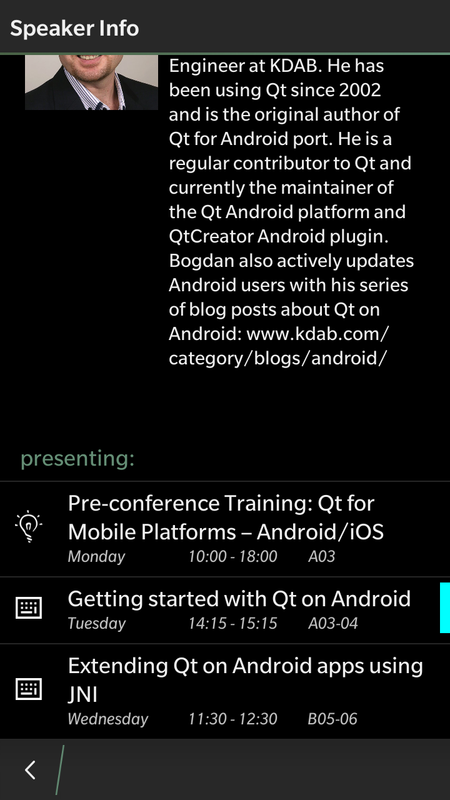 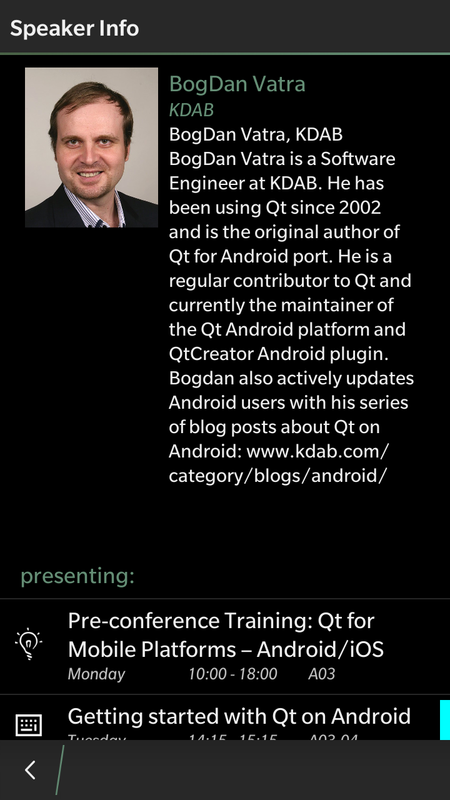 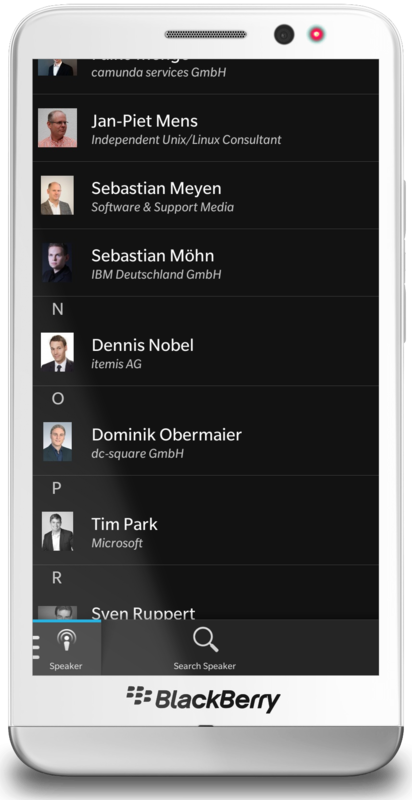 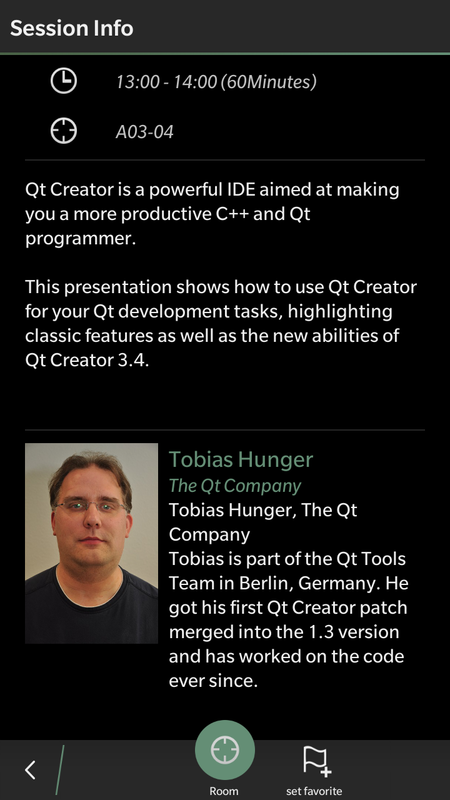 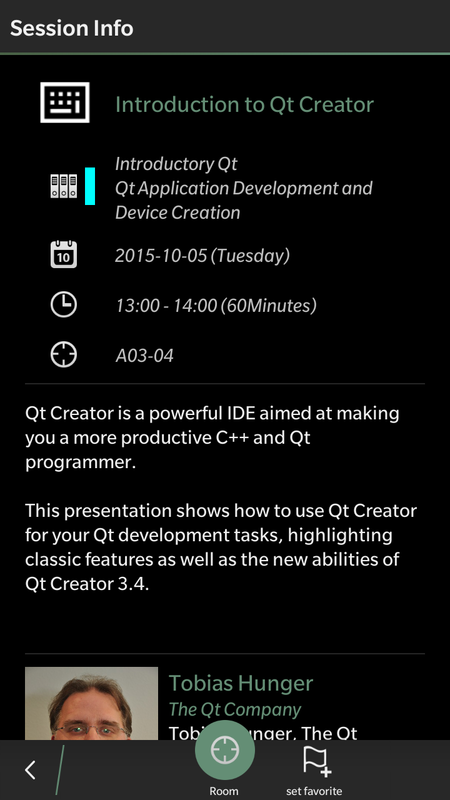 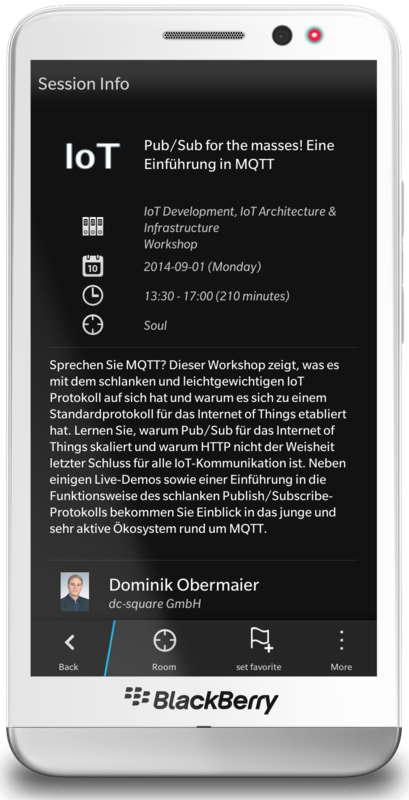 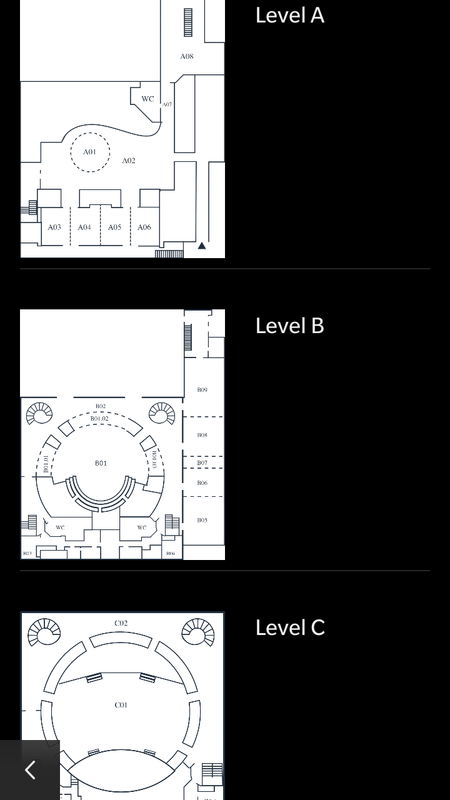 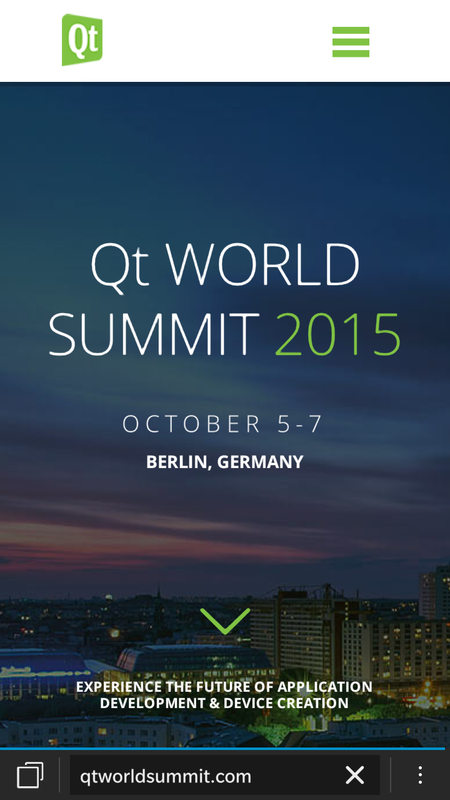 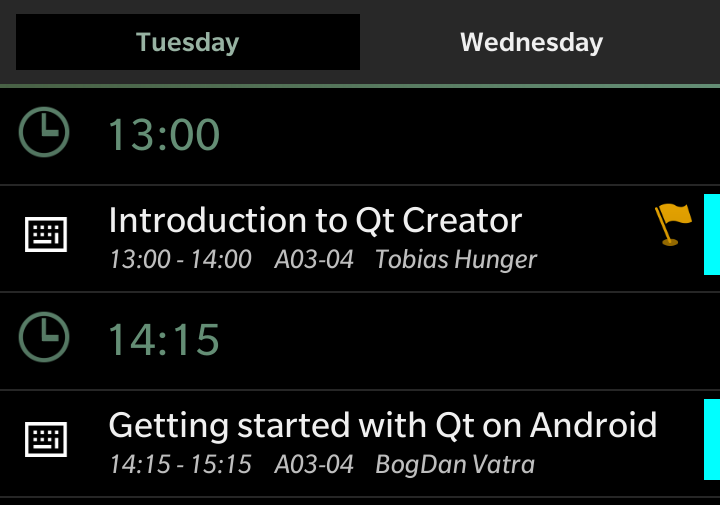 This year first time ever I’ll attend Qt World Summit in Berlin and so I also in my spare time wrote a conference app. 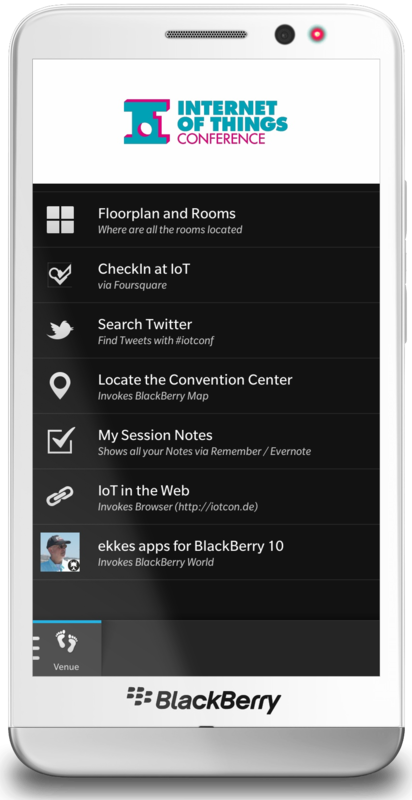 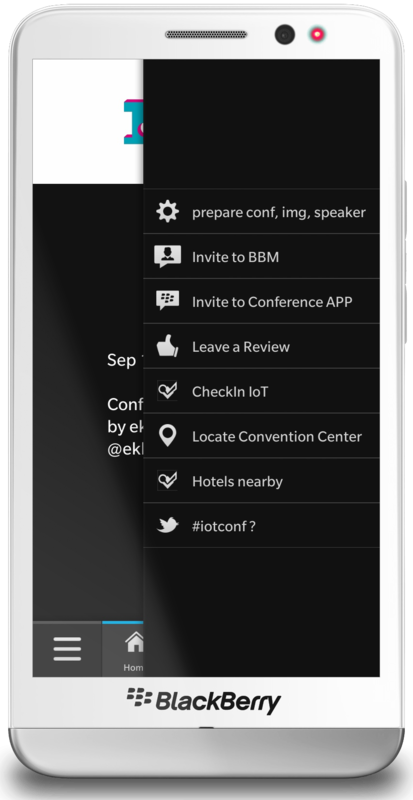 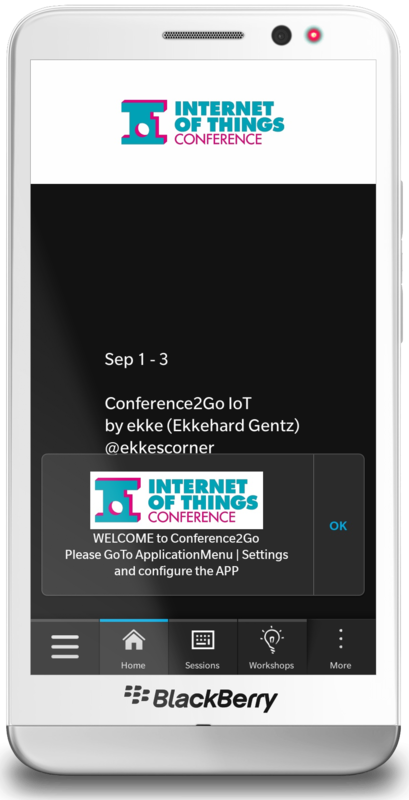 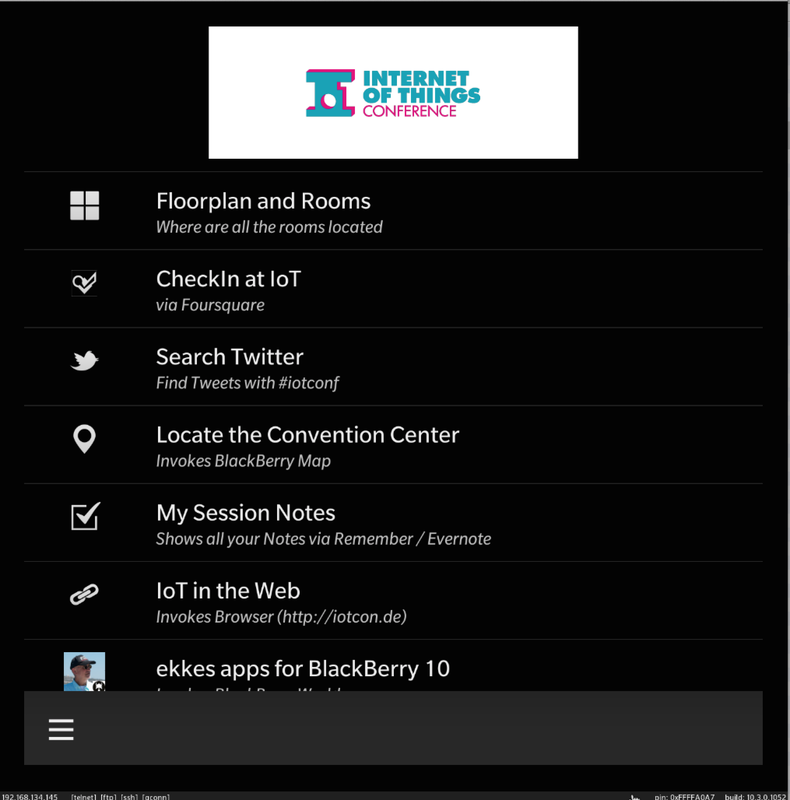 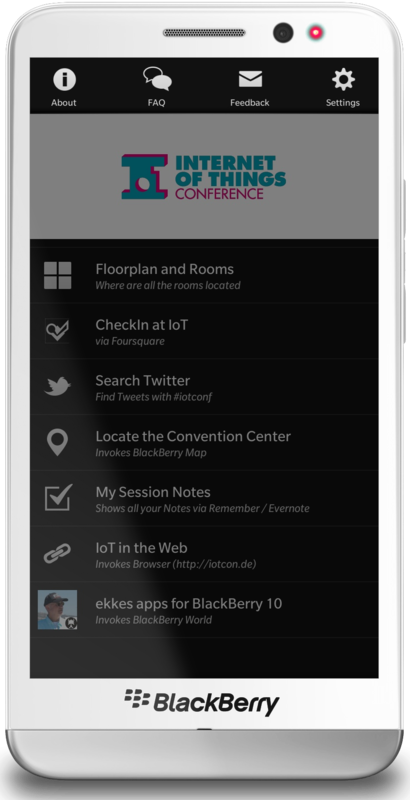 There was only a very short timeframe, a new API and also a complete rewrite from scratch, so if you know some of my other Conference2Go apps, this first version misses some things: Calendar- , Notebook-, Foursquare – Integration, Search for Sessions / Speaker, birds-eye-view of all sessions, Shortcuts for keyboard devices and full Classic Trackpad support. 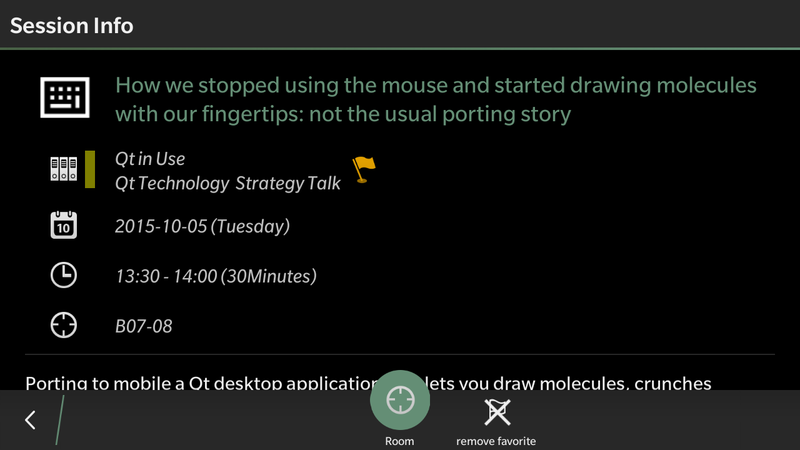 I’ll add this later. 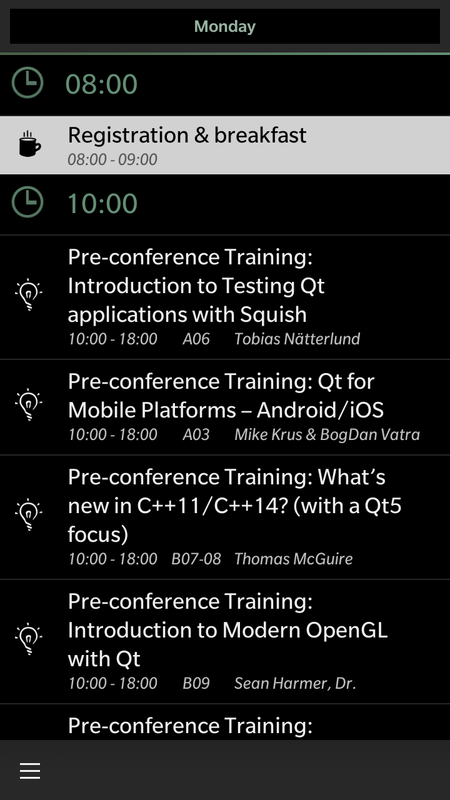 Sessions and Trainings are segmented by Conference Day and grouped by Time. 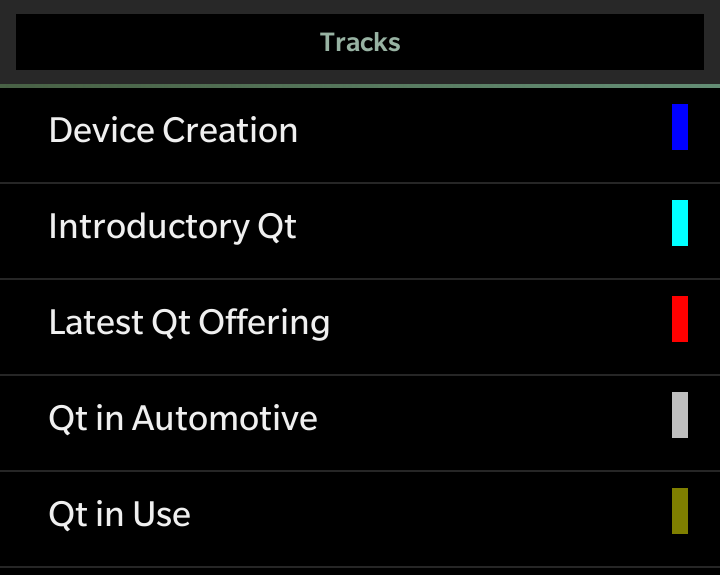 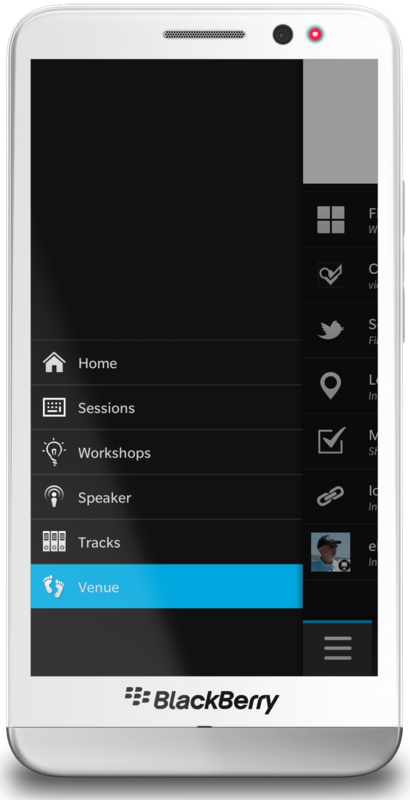 Keynotes and Lightning Talks have own Icon, Session Tracks are colored. 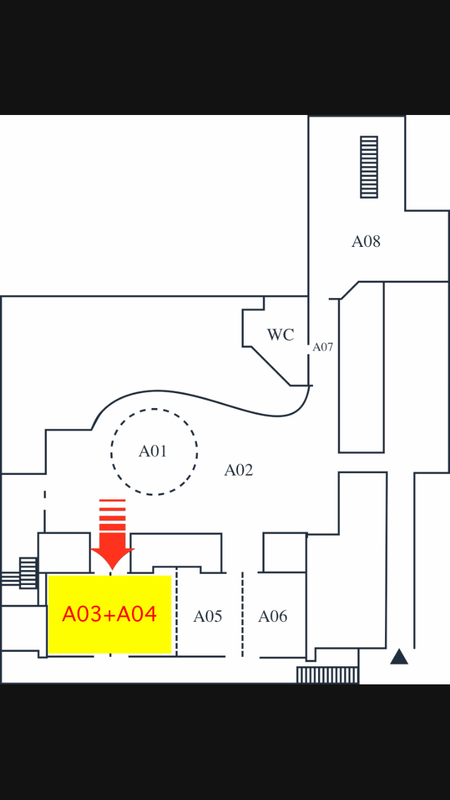 Sessions marked as Favorite have an orange flag. 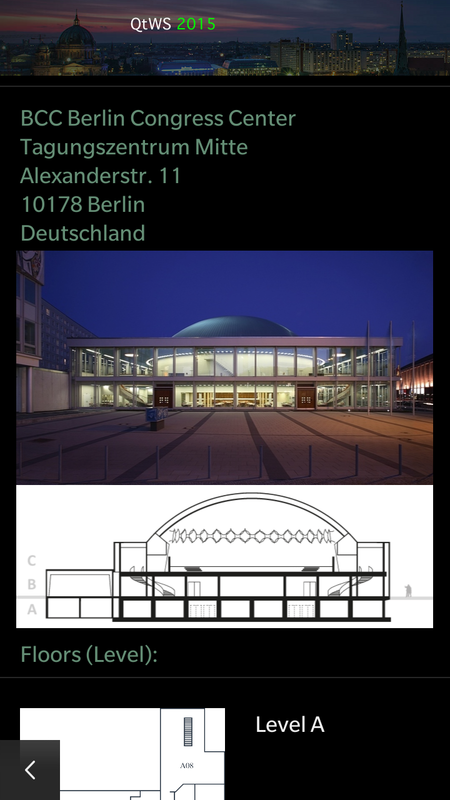 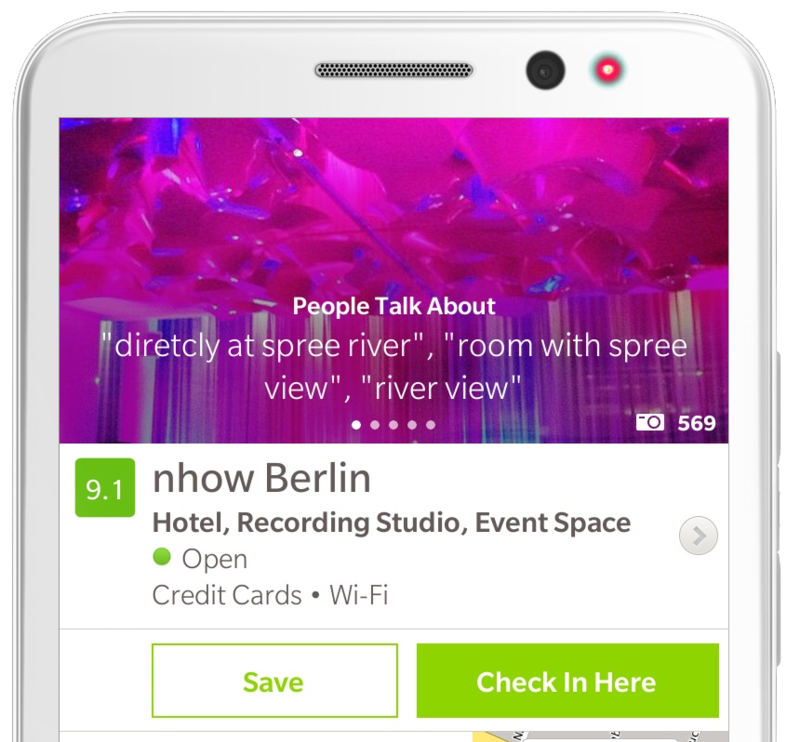 See you in Berlin and have fun with the app. 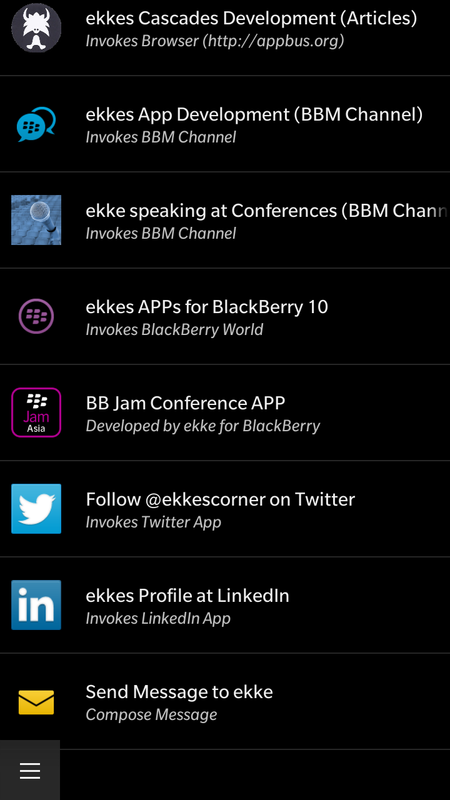 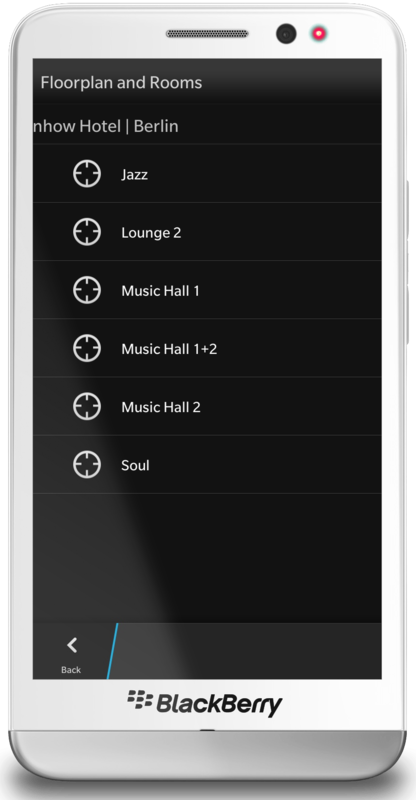 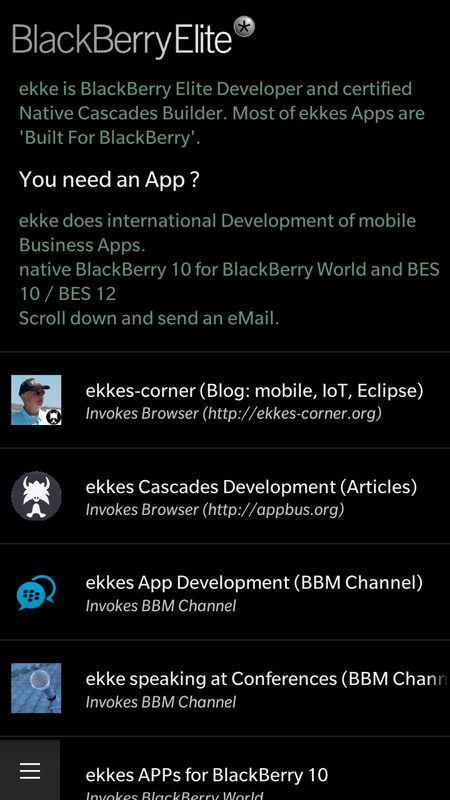 If there’s something wrong or missing please send feedback from ekkes-corner Tab inside the app. 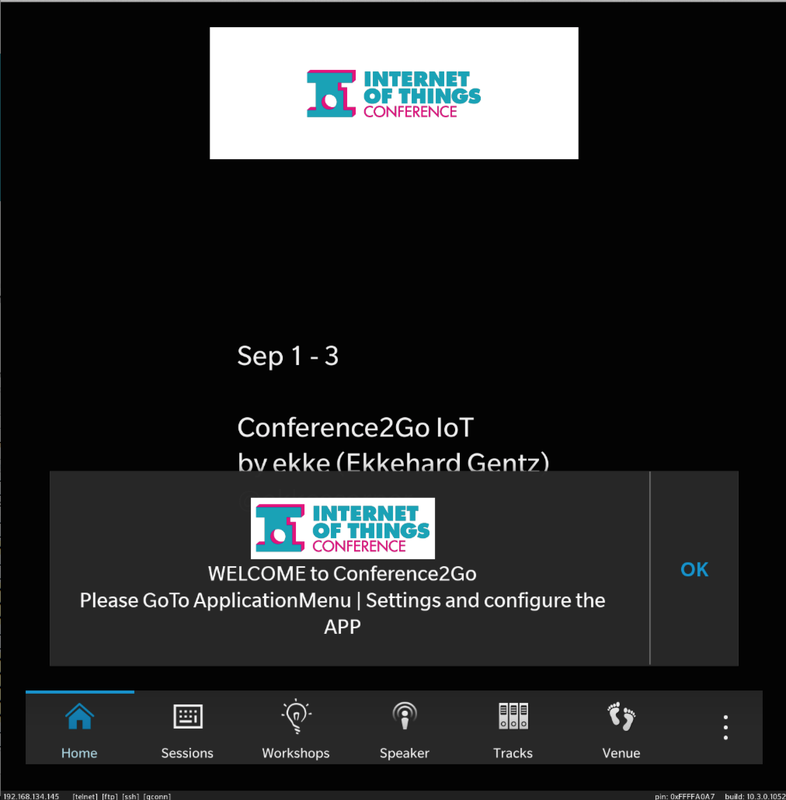 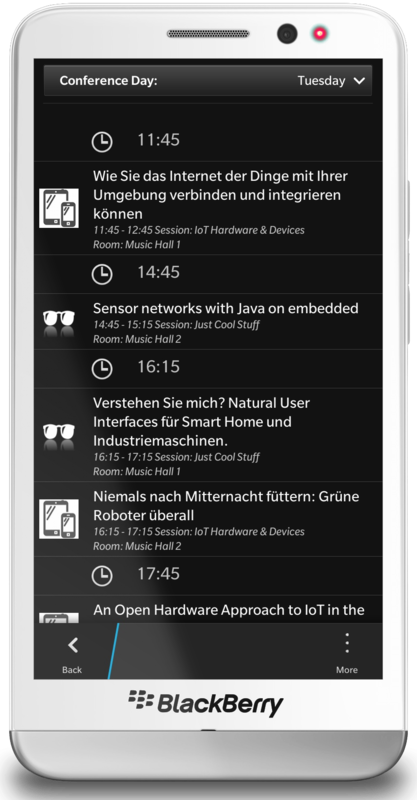 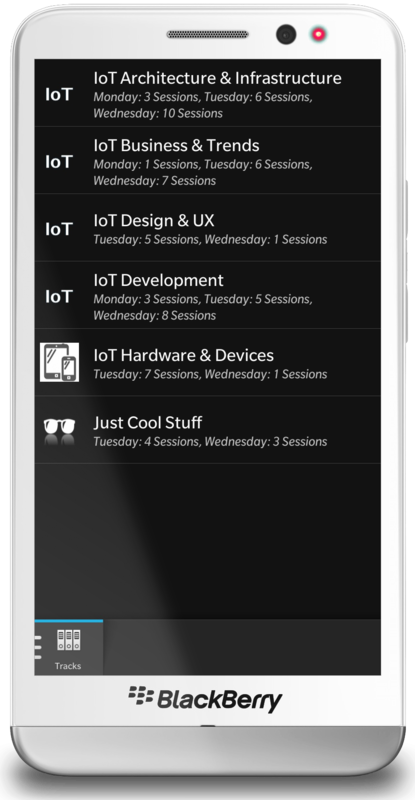 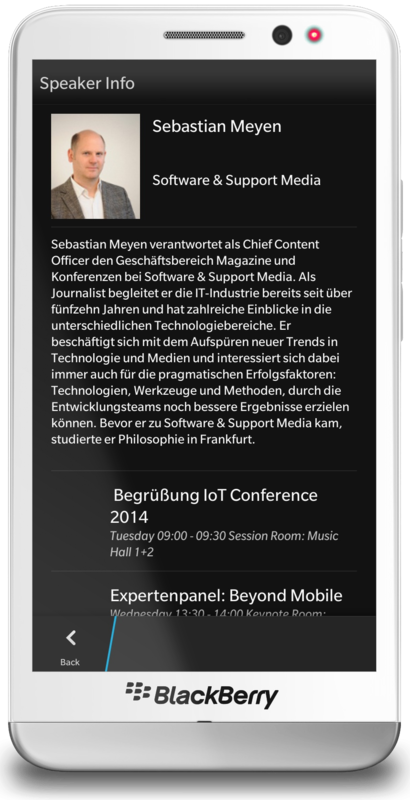 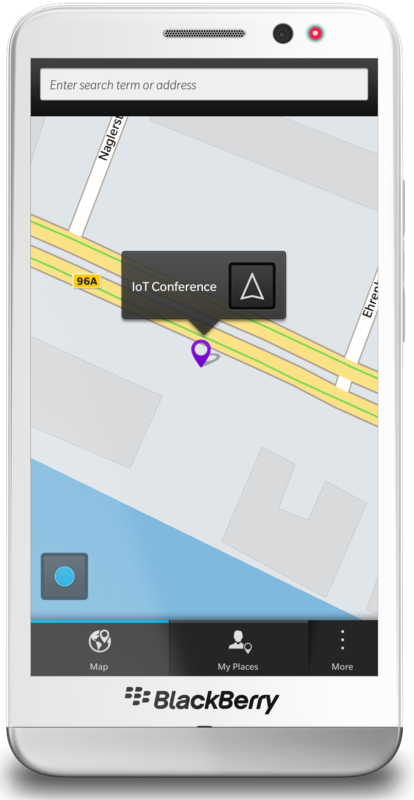 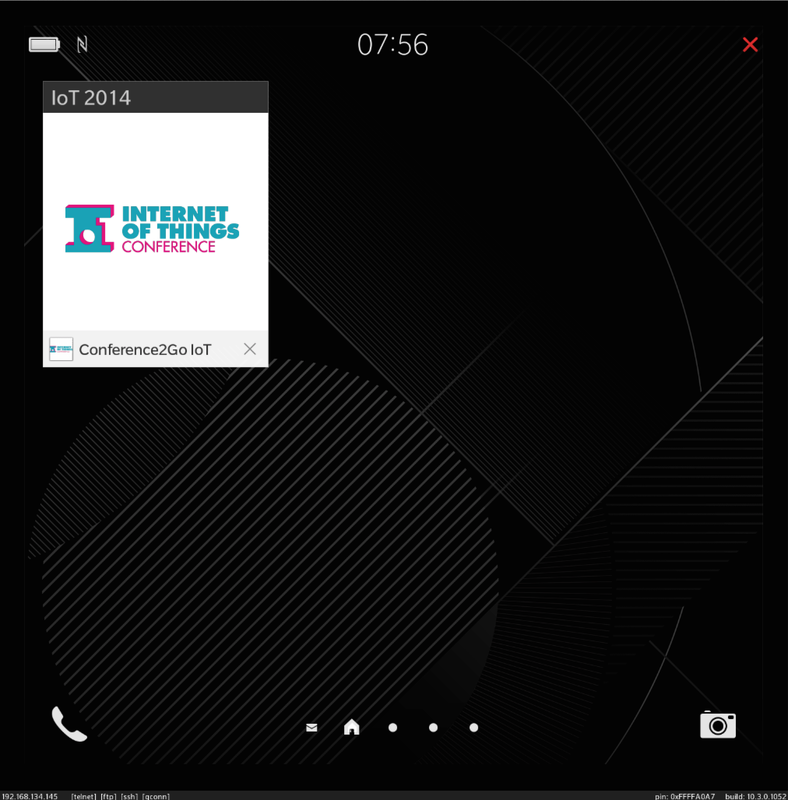 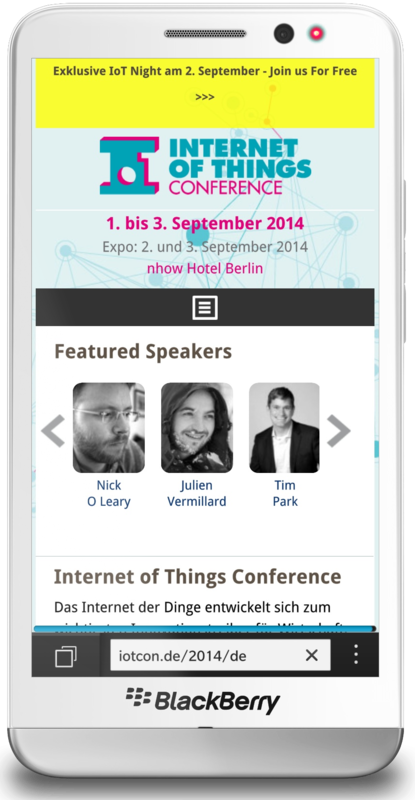 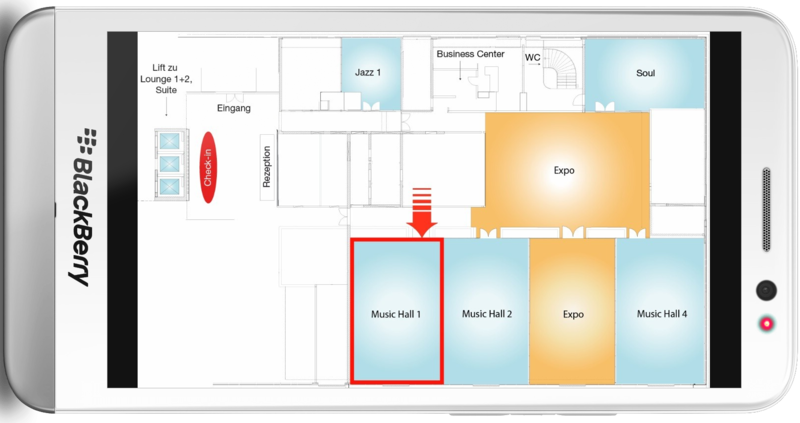 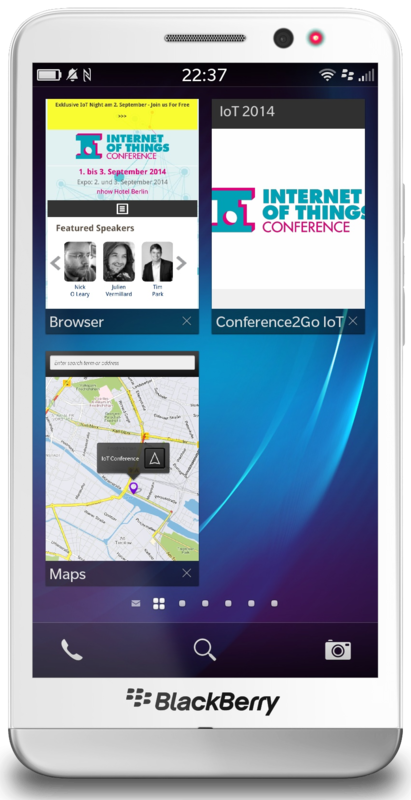 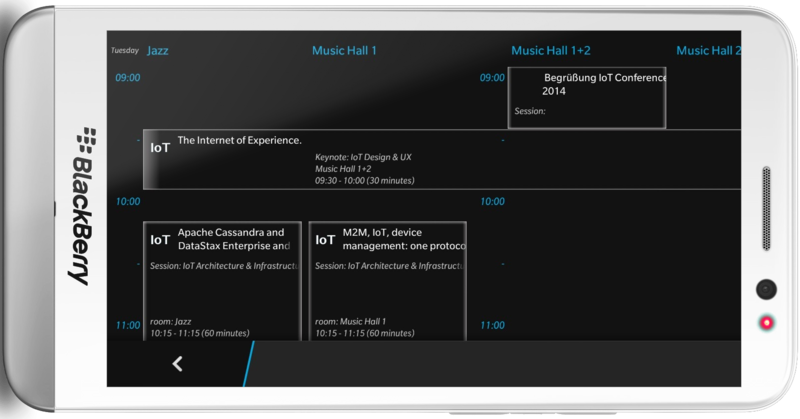 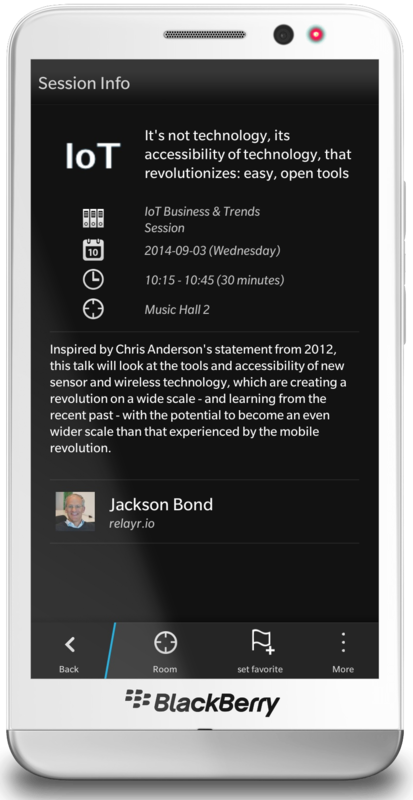 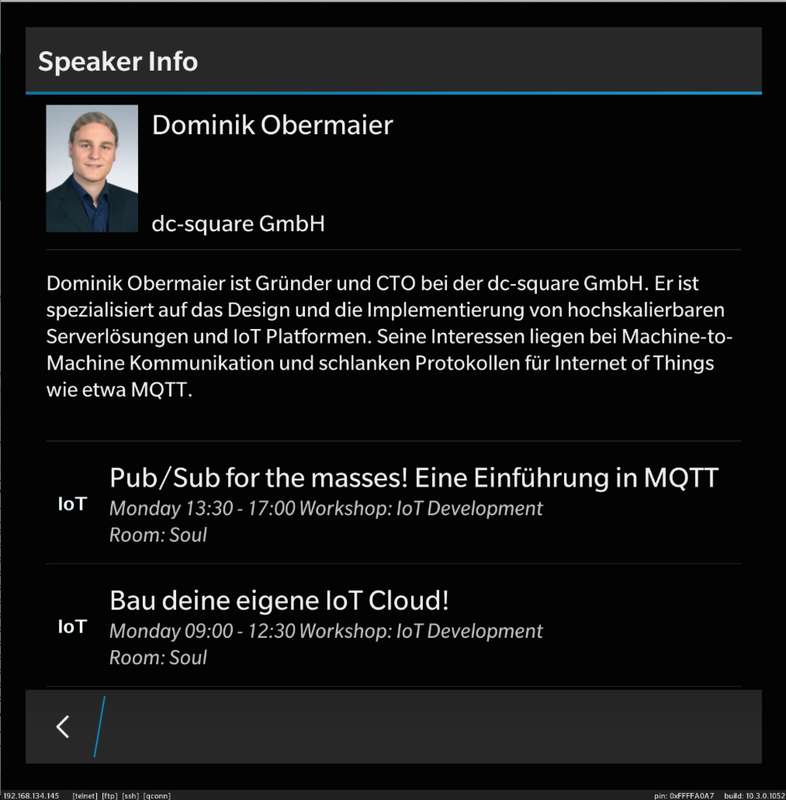 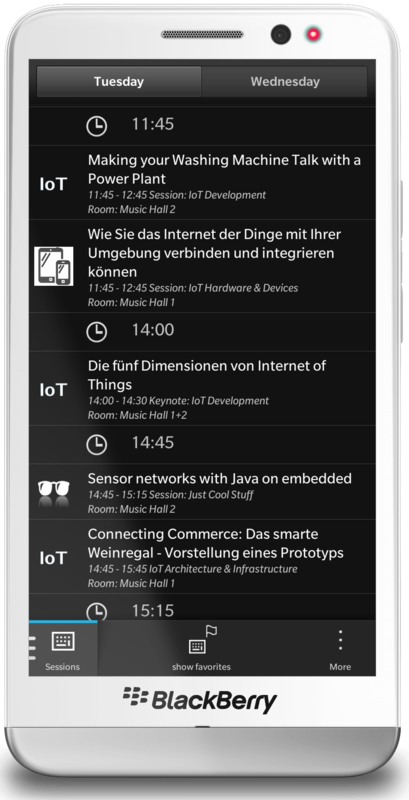 Next week first time ever the new IoT Conference opens the doors in Berlin.